Georgia Ann (Free) Minniear, 91, of Lebanon and formerly of Easton passed away Thursday, August 16, 2018 in the Good Samaritan Hospital, Lebanon. Originally from Grantville, she spent the majority of her life in Easton where she was preceded in death by her husband of 45 years Walter L. Minniear, parents Warren B. and Ada C. (Myers) Free and stepfather Russell K. Behman. Georgia worked over 20 years in the banking industry for Valley Federal Savings and Loan and was a member of Olivet Presbyterian Church. Her biggest enjoyments beside her family were bowling and playing golf until she was 85. She recalled in vivid details various rounds of golf with her husband, son and daughter. 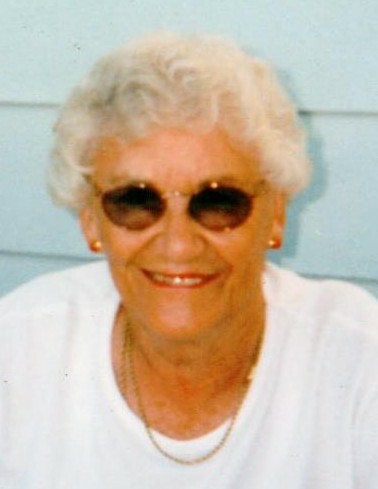 Georgia leaves behind her daughter Susan (Minniear) Hoffman of Grantville; son Jeffrey S. Minniear of Simpsonville, SC; grandchildren Scott Minniear, Samantha Minniear, Emily Hoffman, Cassandra Hoffman, Nicole Minniear and Faith Minniear; along with numerous nieces and nephews from the Dayton, OH vicinity. A funeral service will be held 10:00 AM Wednesday, August 22, 2018 at Buse Funeral Home, 9066 Jonestown Road, Grantville preceded by a viewing from 9:00 AM. Interment in East Harrisburg Cemetery. Memorial contributions may be made in Georgia’s name to The Center for Animal Health and Welfare, 1165 Island Park Road, Easton, PA 18042.